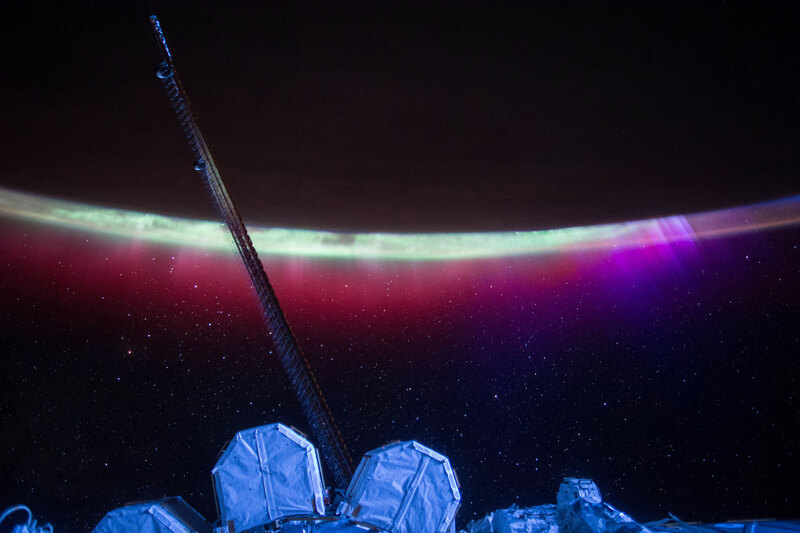 NASA astronaut Scott Kelly shares his view of an aurora trailing a colorful veil over Earth. The dancing lights of the aurora provide spectacular views, but also capture the imagination of scientists who study incoming energy and particles from the sun. Aurora are one effect of such energetic particles, which can speed out from the sun both in a steady stream called the solar wind and due to giant eruptions known as coronal mass ejections or CMEs. After a trip toward Earth that can last two to three days, the solar particles and magnetic fields cause the release of particles already trapped near Earth, which in turn trigger reactions in the upper atmosphere in which oxygen and nitrogen molecules release photons of light. The result: the Northern and Southern lights. Be the first to comment on "Astronaut Scott Kelly Views Aurora’s Colorful Veil Over Earth"